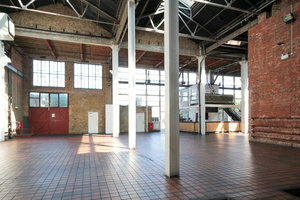 This huge 7700 sq ft industrial warehouse venue is available to rent, located right on the bustling Brick Lane, a popular retail and market street in Shoreditch. 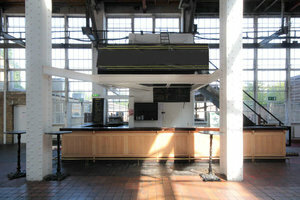 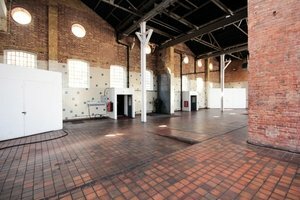 This venue is ideal for hosting parties, pop-up restaurants, gala dinners, exhibitions and smaller trade shows. 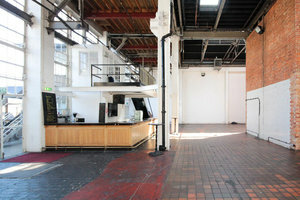 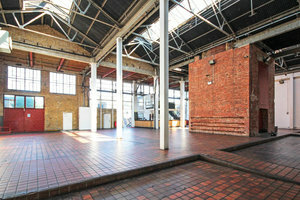 It is located on the ground floor of the Old Truman Brewery, in a large brick building. 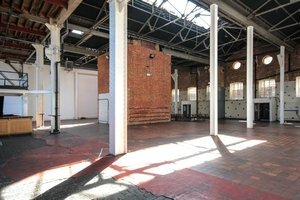 The venue is very bright with extremely high ceilings, large windows, skylights and many original features including the famous 49 metre high chimney. 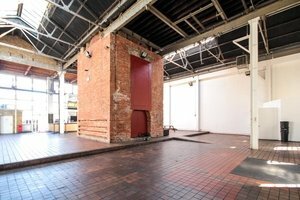 The space also benefits from a large rear courtyard and an inside bar which is perfect for catered BBQ events in the summer months. 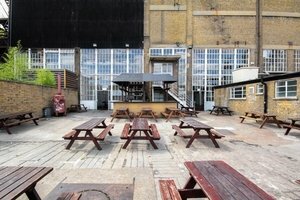 it is also ideal as a smoking area for day events.